Rabbi Baruch Shalom HaLevi Ashlag (also known as the RABASH) was born in Warsaw, Congress Poland, Russian Empire on January 22, 1907. He received his semicha at age 20 by Rav Yosef Chaim Sonnenfeld, Rav Avraham Yitzchak Kook and Yaakov Moshe Harlap. He was the firstborn and successor of Rabbi Yehuda Ashlag also known as Baal Hasulam, the author of "The Sulam" commentary on the Zohar. Among his writings: Shlavey ha Sulam, Dargot ha Sulam, Igrot Rabash. He studied Kabbalah with his father for more than thirty years. When his father, Baal HaSulam, fell ill, he appointed the Rabash to give the lessons in his stead. After the passing of Baal HaSulam, the Rabash took his father's place as the leader of the Ashlag Hasidim, and dedicated his life to continue his father's unique way, to interpret and expand on his father's writings, and to disseminate the Kabbalah among the people. 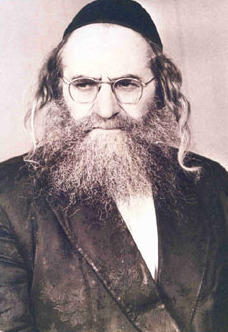 Rav Baruch Shalom HaLevi Ashlag was niftar on September 13, 1991 and was burried on Har HaMenuchos.